And it's basically these exact two German cars from the 1980s. Here lately I've been thinking. I'm not dissatisfied with the FiST, but I know it's not something I'm going to keep forever. And ultimately, I want two cars that I will keep and maintain until the day I can't drive any longer. They won't be sold or scrapped. Hopefully they won't be crashed and totaled. They will be passed down. They are Forever Cars. 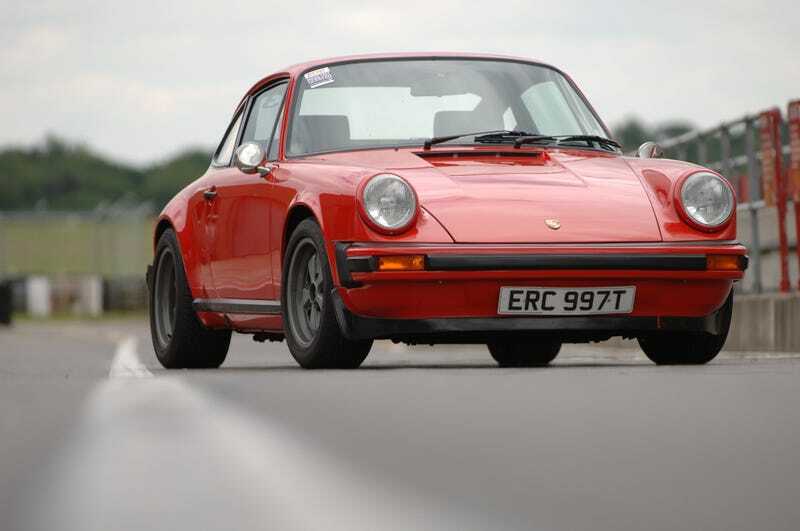 I read a Road and Track article about how the 911 is a Forever Car. See below. It's a great piece by Jack Baruth. But I agree with it so much. The 911 is basically the ultimate idea of what a sports car is. It's what I've wanted for so long. I've told myself I will have one, and that I will keep it forever. The other forever car, I've come to realize, is the W123 Mercedes. I know it's stereotypical Jalop, but it's what I want. It's practical. It's comfortable. It will last forever. It's a tank. Endless uses from getting a dog to getting a family to moving a washer and a dryer at the same time. I've been taking stock of where I am in life. I'm single. I make way more money than I feel like I should. I am supremely blessed not just in material things but in the ability to make plans and stick to them. So here's where I am, Oppo. I'm looking for a Light Ivory Mercedes W123 300TD turbo diesel station wagon. Preferably one of the later models. I think I can get out definitely under $4000 but maybe around $3000. I want a brush guard on it. I want rally lights and a big roof rack. I want the vacuum system to work perfectly and the SLS to be dead level. But I want it to have quirks. I want it to have character. I want to put little German flags on the hood like a diplomat. And I want a "D" oval sticker for the back. I want to drive it across the United States with a friend and sleep in the back like God intended. I want to drive it through the desert and take it down tracks like the old safariwagens. It'll have a nickname like The Battlecruiser, or The Beast, or Panzerwagen. Or maybe "Roland." When I die, I want this car to have over a million miles on it. It's within reach. I just have to have the patience to find one. But the 911 is a different story. It needs to be a 911 classic. It HAS to the Guards Red. I don't care what engine it has, but the bigger the better. The 915 gearbox would be a plus. A 911SC would probably be where I start since that's the one that isn't insane expensive yet. Once I have it, I'll get tartan seat covers made. I'll buy one of those new GPS/bluetooth in-dash head units Porsche makes now. Because that's awesome. And I'll drive it. Good lord, will I drive it. My plan essentially is to start looking for one after I get the Merc sorted out. Then, once I've found the perfect 911, sell the FiST, get a loan, and buy the 911. By that time, I'll have a house with a garage, so I won't be without shelter for the cars. They won't deserve to sit outside in the weather. But overall, I'm telling myself I don't want to pay over 30k for it. However, I know that won't be possible when the time comes. And if it's good enough—and I know it will be—price basically won't be an object. So, Oppo, this is my plan. I don't know why I'm sharing it with you. Perhaps just to get the idea in my head down on paper. But hopefully this inspires some of you to decide on your attainable dream cars, start planning for them, and eventually get them. And when you do, love them. Drive them like they were meant to be driven. But try and find something that you'll want to keep forever.